Some might question why a person would go through all the trouble of printing and binding their own books at home these days when there are so many print on demand services offered by the likes of Amazon (which I have used in the past), or DriveThruRPG, and LuLu. For me it is curiosity, how far can I customise a book? There is plenty to consider. 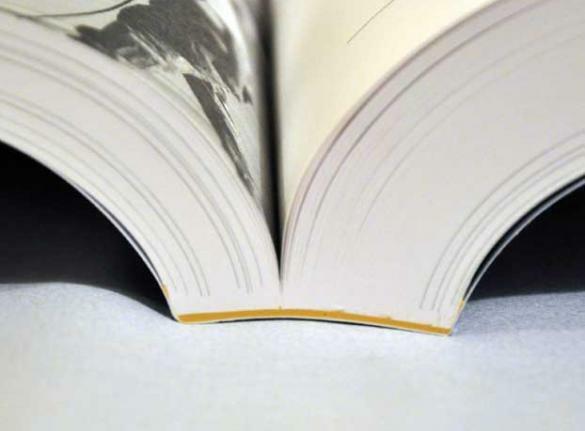 Perfect binding is commonly used for catalogues, directories and paperback books that have a higher page count. Pages are glued together at the spine with a strong, flexible glue. The cover is wrapped around the glued pages, and the brochure or catalogue is then trimmed to its finished size. 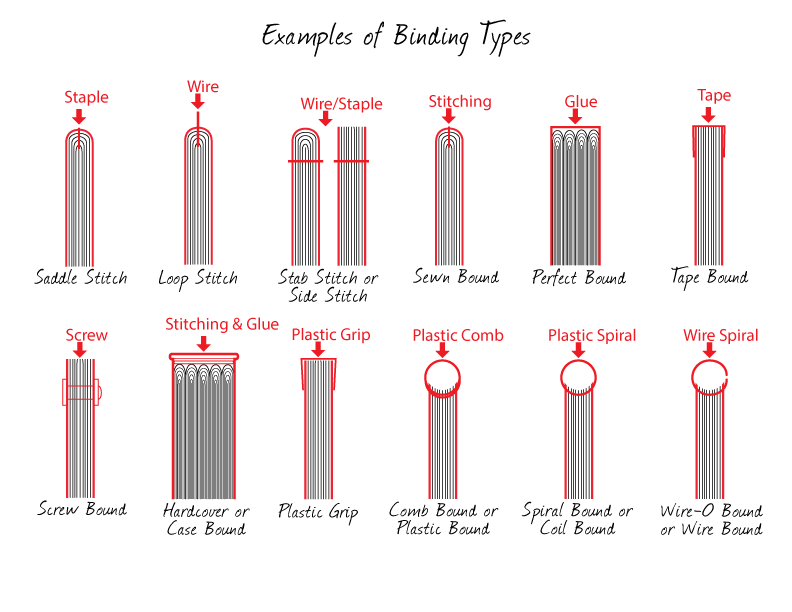 There are plenty of videos and websites that will show you how to perfect bind your books.Because we live in an age where you can purchase any product you want and have it delivered within a few days it is easy to bind a book at home. Adhesives are cheap, plentiful, and of better quality than you could get 20 years ago. This allows us to print at home and if you take the time you can have yourself a reasonably decent book. Mind you I’ve had bought RPG books from a brick and mortar shop that are perfect bound and they have fallen apart (I’m looking at your 1990’s Palladium Books!”) After pouring over videos on YouTube I came across a video for Double Fan Binding. Much like Perfect Bind but it adds a few extra steps giving you a more secure bind. This sounded ideal to me as I wouldn’t have to worry much about with Imposition, Creep, Signatures, Bleed, …see I told you there was a lot of terminology! What weight (thickness/quality) 130 g/m², 150 g/m²? My first run will be with A4 Silk 150 g/m². Silk is a good type of paper to use when you are using a combination of text and images. Since I’m binding the book myself I can stick in photo quality pages for full page artwork. I also have an old, but still functional Craft Robo which is a print plotter. It works like a printer but instead of ink it has a blade that you use to make precise cuts or even perforations. 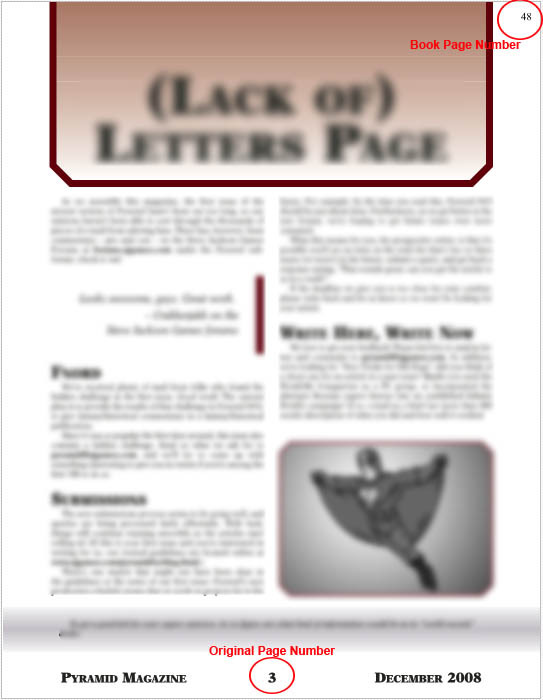 I could perforate pages with player hand outs if I wanted to. Next is cost of printing. According to PC worlds test of 40 printers the cost of ink is roughly 3.4 cents for black and 10.4 cents for four colours using high yield cartridges. So even more expensive for the regular yield cartridges. It is around half that price for using compatible cartridges but then you also loose quality. My last batch of compatible inks faded in direct sunlight in less than 20 minutes of exposure. Not ideal if you forget it on the table and later find that the sun got to it as it traversed the sky. You can always try Print on Demand, they offer good services but I wanted this to be an at home project. After asking for suggestions Jim Bowen (a fellow paper modeller) informed me of the Epson Eco Tank range of printers. I did some research on the, watched and read reviews and finally took the plunge and bought the Epson EcoTank ET-7750. These are not cheap printers, not by a long shot. What Epson has done is reverse the cost so instead of paying £30.00+ for a printer and £70.00+ for a full set of inks you are paying £200+ for the printer and £50.00 for ink that will last you over a year of printing. I went ahead and got the Epson ET-7750 as it was the only A3 photo option of the EcoTank line. This also mean I paid a lot more for the printer. It did come with two sets of bottles allowing enough ink for three years worth of printing (roughly 3,600 colour prints). A full set would cost around £66.00 and last me almost two years according to their calculations. My previous printer (Cannon pixmia) would cost me £80 for a full set of original inks and I’d be lucky to have it last two months if I had heavy printing to do. Testing the A3 borderless printing. So I have my new printer, I’ve ordered some muslin cloth for the spine, I’ve ordered A4 Silk 150 g/m² paper and I will probably order some A4 Semi-Gloss photo paper for the cover if I decide to go soft cover. I already have acid free PVA glue and brushes, I own binder clips and my new house has a workbench with metal vice grips that I could use as well. I have owned Adobe CS2 since the early 00’s when I did some freelance graphic design work from home. Unfortunately Adobe Acrobat Pro 8 does not work with Windows 8.0 on up. That means I can not use it with my Windows 10. Seriously pisses me off as Illustrator, Photoshop, and InDesign CS2 all work with Windows 10. I don’t use it enough these days to justify the cost of purchasing it again, that and I despise the annual subscription cost. So I now have to use multiple programs to do what I used to be able to do with Acrobat 8 Pro. If I print and bind five Pyramid Magazines it is an average of 225 pages per book (the first five will be 215 not including extra pages I add). So somewhere between the thickness of GURPS Space and GURPS Martial Arts. Soda PDF allows me to insert Page Numbers so each magazine will have two sets. The one in the bottom middle (original numbers) that only correspond with each individual Pyramid issue and the book page numbers which I will use and add a overall table of contents AND an index. Since making this picture example I’ve decided to place the page number in the upper middle as Soda PDF can not alternate the location of the page number which would result in half the pages having the number near the spine. The big expense was not getting a cheaper paper. In hindsight I could have gotten away with ordering 100 g/m² Silk White A4 paper. I’ve found some other sellers that are cheaper at £0.04 for 100 g/m² Silk A3 or £0.02 for 100 g/m² Silk White. That would have reduced the price considerably. It pays to shop around! 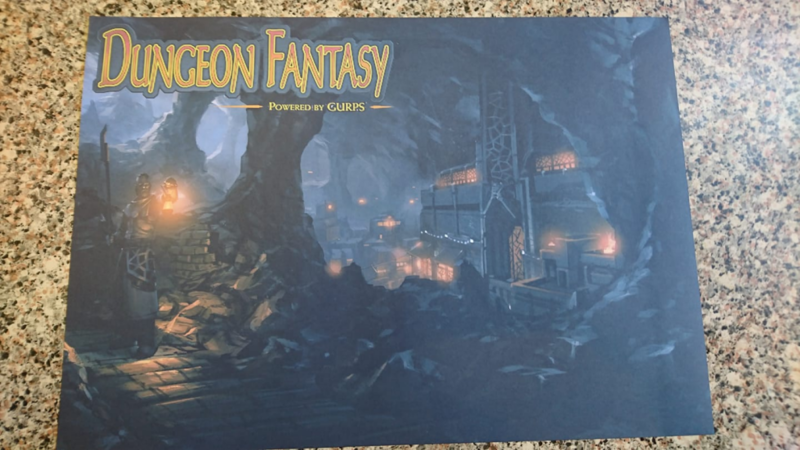 This entry was posted in Dungeon Fantasy, GURPS and tagged bookbinding, GURPS, Print on Demand, RPG by Highland_Piper. Bookmark the permalink.